What are the top attractions in Puerto Rico? Come inside to find out! The top attractions in Puerto Rico are composed of cultural, historical and natural sights that would make any traveler feel like they are in one of the most interesting and multidimensional destinations in the world. Located in the Greater Antilles region of the Caribbean, this self-governing commonwealth of the United States of America boasts of a tropical marine climate, mountainous terrains, small rivers as well as sandy beaches that make up for a fun and memorable vacation experience. But one of the most amazing highlights it hosts has always been its architecture. Colonized by the Spanish in 1943 and influenced for 500 years, it comes as no surprise that this country is teeming with old colonial structures, from forts to churches and town halls. Among the top attractions in Puerto Rico that’s worth seeing is the historic district of San Juan, enclosed by old walls and occupied by 400 antiquated structures, from buildings to monuments and town squares. And even modern facilities like cafes, restaurants, bars, as well as recreation centers are housed within Spanish-inspired buildings. Among its famous landmarks is the Cathedral of San Juan Bautista where Spanish explorer Juan Ponce de Leon was buried. Collegio de Parvulos is another point of interest that appeals to guests given the fact that it is the most ancient Catholic school in the region. This point of interest has received many designations, from being part of the National Register of Historic Places to a UNESCO World Heritage Site. So hopefully, with this, you’d find it convincing to pay for a tour around this site. Now, aside from San Juan, people could also check out Ponce and San German for historical references and points of interests. Moving on, we now turn our appreciation to the country’s natural resources, which are considered among the most beautiful. Guanica is a resort town that provides guests a number of beach escapes, namely, Azul Beach, Cayo Aurora and Punta de Brea, to name a few. Rincon is another seaside community that’s considered one of the top attractions in Puerto Rico because of its legendary waves. Every year, thousands of international surfers flock to this place to learn how to tame the Caribbean Sea as well as enjoy it. And as an added bonus, people could sail to the Desecheo Island National Wildlife Refuge and snorkel or dive around it. Whale watching tours are also available. But the appearance of these creatures can be unpredictable. So better schedule your trip from December to March to guarantee yourself the experience. It would also be a wise idea to secure some travel insurance as well, just in case of an emergency (and especially if you’re doing all sorts of fun, active activities). There are plenty of providers, but Direct Travel offers quality, affordable travel insurance, which is available for however long your holiday will last. For a more mind-blowing encounter with the sea’s mysterious creature’s, you should also head on over to Fajardo where you could visit its famous Bio-Luminescent Bay and kayak over Mangrove forests lit up by glow-in-the-dark plankton. La Parguera in Lajas also has the same tourism feature. And in Camuy, you’ll be treated to spectacular cave systems, sinkholes and the third largest subterranean river. 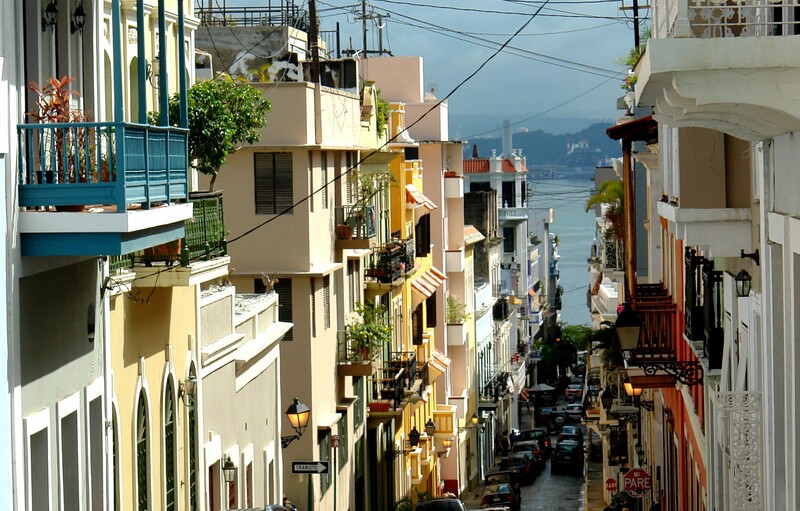 Located a stone throw from Miami in Florida, Puerto Rico is much easier to visit than you think. As the cold winds of the polar vortex churn this winter season, know that the warm weather, historic monuments, and natural wonders of Puerto Rico are always within your grasp! Puerto Rico sounds like a fun place with quite a variety of things to experience. Thanks for sharing. Check your data. 1943 was not when the Spaniards colonized PR. HELLO??? ?